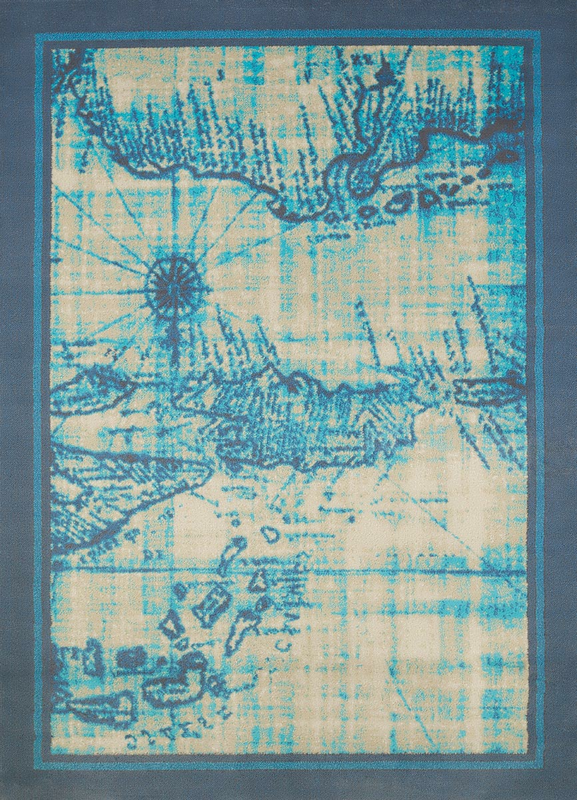 The Explorer Aqua 5 x 7 Rug enhances your nautical family room with a vintage map design bordered in charcoal and blue. These nautical area rugs ship from the manufacturer. Allow 1 to 2 weeks. Cannot express ship.